Victor Maynard (Bill Nighy) is Britain's greatest assassin. Rose is a con artist and thief. When Rose (Emily Blunt) uses a phony, forged Rembrandt to steal $1 million dollars from a wealthy art collector named Ferguson (Rupert Everett), Victor is hired to kill Rose. There's just one problem: for the first time in his illustrious career as a hit man, he can't bring himself to finish the job. 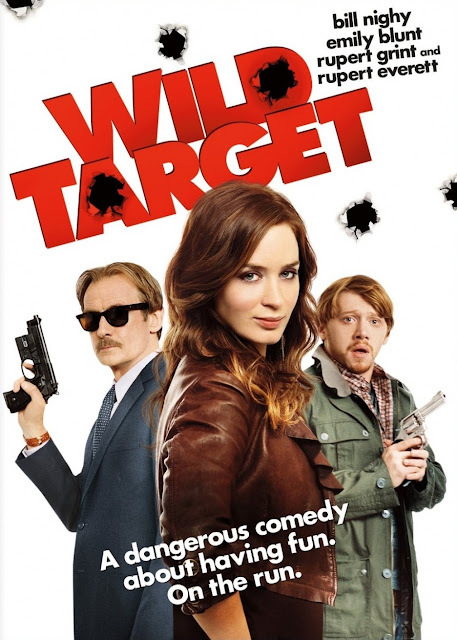 In a strange twist of fate, Victor, along with a young, apparently homeless man named Tony (Rupert Grint) become Rose's protectors from Ferguson's newly hire hit men (including Martin Freeman). This movie is definitely a dark comedy. We found many parts humorous because the acting, across the board, is pretty great. The subjects of this film are generally not funny (murder, assassinations, shootings, robberies, crime), but somehow, the cast manages to turn a rather mundane and overused script into something enjoyable. Bill Nighy is a legend and looks badass with a mustache. Emily Blunt is flawless and can do no wrong. Rupert Grint...well, he's Ron Weasley. All in all, a decent flick with some added flair from a stellar cast. Do we recommend the film: Sure, why not?